OlegMit Photo ant Stockers Site. Photostocks list and short information. Here is the list and short description of some photo stocks I deal with. References to these photo stocks are given at the foot of the page. ShutterStock is one of the most effective photostocks. To get there you have to send 10 your best photos to be examined. If 7 of 10 succeed they get into photo base at once otherwise you have to wait a month and send a new ten. Need regular uploads. 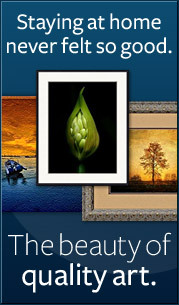 Istockphoto.com is the oldest and the most respectable photo stock. Send 3 photos to be examined. They prefer exclusive authors. Having reached the level of 250 sales you can try to get the exclusive status. It is up to you. I advise you not to delay with the registration because this stock prefers “old-residents”. Here is a very big community, the system of comments and rating for every photo. The main problem is a small limit of downloads (15 photos per week for novices). Fotolia, the easiest photo stock for mastering, can be recommended for novices and has no exams. Sales are of high level. Dreamstime, Bigstock, 123RF RF are of middle sales level, contribute their mite into common affair, deserve attention. Photodune - part of huge mediamarket Envato. Showing great promise photostock. Canstockphoto - Canadian photostock, established in 2004. Acceptance process is fast. Uploading photos is easy. Sales rather small compared to the largest photostocks. There are no restrictions on the number of uploads. Photos and vectorsare accepted, sales by credits and by subscription. All above mentioned stocks support uploading by ftp, with the exception of Istockphoto. Here are some recommendations how to prepare files to be sent to photo stocks. Make a file in Excel (or just buy a simple pocket-book), here you will mark sent photos and calculate the results of your business. The example with the comments on the cells you can download here. You are free to choose how to control everything, here is the easiest way. Choose carefully 15 files with stock potential and an appropriate size of MPx (the bigger is better) and start the processing (as a rule use the latest license version of Adobe Photoshop or similar editor). 2. Cut everything odd (as a result a picture loses some MPx if only you can make right framing and shot the image densely). Here you will need extra pixel size. 3. Increase the image view up to 100% and look for spots (rests of speck of dust on the matrix), logotypes of registered trademarks got into the take. The world around us is full with these undesirable artifacts. Delete everything with the help of Patch and Spot Healing Brush (or Rubber Stamp). 4. If necessary delete noises with the help of Neat Image or similar software [Neat Image is accessible as PS plug-in]. 5. Increase colour contrast and saturation with the help of Levels and Curves. Don’t abuse these actions as don’t transform the image into black-and-white – the designer can do this by himself. If the file is in RAW-format (try to use this format if your camera allows) points 1,2,5 are better to be done in RAW-converter. I use Nikon Capture NX, you can use Adobe Camera Raw (Photoshop plug-in). RAW format allows to process the image precisely but needs extra time. 6. A finished file is converted into colour profile sRGB and saved. This colour profile allows the image to look more colourful on the screen because most of browsers are tuned up on this usage. If the file is supposed to be used for printing it is better to use Adobe RGB-profile. 7. Insert title, description and keywords. It is better to do in Adobe Bridge (application given together with Adobe Photoshop). Upload photos to the photostock site using ftp if it is available or via web-interface. Put categories, check the presence of keywords. Press Submit Button. That is all! And wait for inspector’s decision on file’s acceptance. Register on Skrill and Payoneer. This helps to simplify procedure of obtaining your earnings. Using of this page materials allowed only with saving of referral code.